Which is the most visited location on earth by international tourists these days?Eiffel Tower? Times Square,Taj Mahal or Niagara Falls?None of these but one of the most sought after locations of late, if not the most, is Grand Bazaar of Istanbul,Turkey.Hailing from India,a country full of bazaars of all kinds did not stop me a bit to relish the outstanding experience of being there......in the oldest and largest market of the world. Kapalcarsi as called in Turkish is fully covered with 60 streets inside,thousands of shops-nearly 4000,several cafes,restaurants and the like, it is officially known to be visited by 250000 to 400000 people daily! !Thats the population of the state of Brunei!! I am very familiar to bazaars from day one.India is full of bazaars of all kinds everywhere to the extent I believed that concept of bazaars came from India. 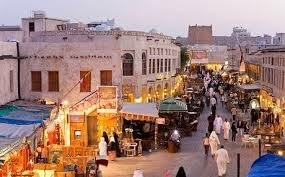 But actually it originated in Zoroastrian Persia.Arab world also has a lot of similar markets which they call as souqs. 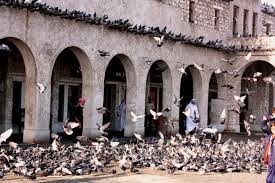 In Qatar Souq Waqif which is as old as 100 years was recently revamped to have the old charm but to remain clean,neat and attractive keeping the traditional architectural beauty.Right from pets to traditional local goods, garments,spices,perfumes,handicrafts and souvenirs are sold here. It is also a place for art pieces. First hotel ever in Qatar-Bismillah Hotel -which was the brain child of an Indian few decades back, stands to its old glory! A lot of restaurants offering varied local and international cuisines are open. 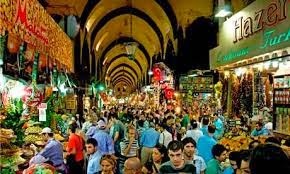 Definitely this is a place to be visited when you are in Qatar especially from October to March when the climate is more enjoyable but I have to admit none of these bazaars or souqs of India or Qatar can come near to the grandness of Grand Bazaar of Istanbul. Few years before mighty Roman empire had fallen down,by the year 324 Emperor Constantine had transferred the capital from Rome to Byzantium,later known as Constantinople, deriving the name from the founder. From Latin to Greek and Roman Christianity to Orthodox were the main changes.Byzantine Empire which can be summarized as Eastern Roman Empire went through many cycles of victories,expansions,decline and recovery until it was conquered fully by the Ottoman Muslims in the 15th century.Under Ottoman empire from a centre of Christianity it turned to that of Muslims and from Constantinople to Istanbul.Ottoman Empire flourished for 500 years there and fell out ultimately leading to the creation of modern Turkey. Soon after, the Ottomans were in the saddle of power after the conquest of Istanbul, Grand Bazaar was started in an old Byzantine building made of wood in the 15th century .As years and centuries passed new additions and sections were added. Grand Bazaar had to go through many fires and earthquakes but survived on repairs each time after such mishaps.The whole bazaar was rebuilt in stone as we see now after a big fire it had to face in mid fifties.May be because Istanbul has gone through different phases of cultures of history like India, it is unique in the world.The place has quite a few places to charm the visitors,Grand Bazaar included. Colourful,vibrant, full of goods like ceramics, hand made carpets, lanterns, copper and brass ware, products of leather,antiques, diamonds.....the bazaar is always live with local people as well as foreigners.One need not necessarily buy anything but just a stroll in the bazaar could be a unique experience.Even better, sitting in one of the cafes watching all sorts of people from around the globe in all sorts of dresses could be an experience.For me it was very interesting to watch the smart,clever salesmen and shop keepers in action of sales tactics and bargaining! Coming to bargaining tactics and I have to admit I was a raw student when I came to Qatar three decades back.In India either they bargain for expensive goods like houses, apartments,cars etc or in flea or fish markets but bargaining was not an integral part of daily life- personal or official. In Qatar,for that matter in most of the Arab countries, bargaining comes in every day life. And in business, skill in negotiations is the fundamental requisite to come up in an executive career! Even in official bids even if your price is the lowest against the client set tender terms, the client expects further discounts! While attending post tender meetings with clients or associates in business initially as CEO, I used to get outwitted by others especially local Arabs who are really good in that skill, I have to admit. Slowly but steadily I started learning the skill in the trade in the hardest way- by constant practice.My continued exposure to management books in the local British Council library helped me to professionalize the little talents within me.Close and continuous business interaction with much better persons than me in the field, thankfully from everywhere in the world,really gave me a boost in this matter. Last twenty years I think I could perform negotiations reasonably well with all in Qatar, although it is others and not me to judge. Any way for me initially it was as difficult as selling ice stick to Eskimos but later started enjoying it for obvious reasons!! Bargaining is limited to haggling for prices which is a sublet of the larger term negotiations. Many I have seen do not know the difference between the two and try to arm twist the other at the slightest given opportunity. Good negotiation is not just being a winner outsmarting the other but making a win-win situation where both parties can agree on reasonable terms to get things done.Business relationships thrive in that way for longer periods benefiting both parties. 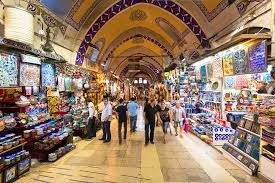 Had bargaining over prices and quality of products sold were not fair for the visitors, Grand Bazaar of Istanbul would not have survived all these centuries. This basic principle is applicable in all sectors of business anywhere in the world! PHOTOS:Some are mine and others courtesy to google.